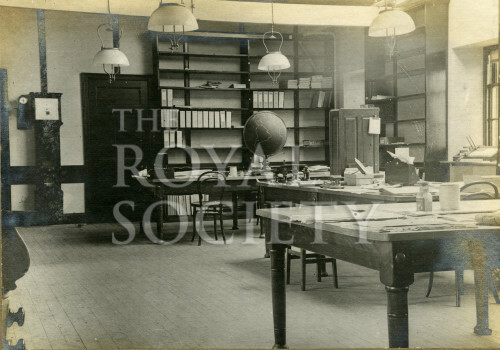 Interior view captioned ‘Office & Library’. Objects visible include the Shelton Regular used as a master clock at the Observatory and now in the National Museums, Scotland. The slate globe for determining earthquake positions is on a central table.